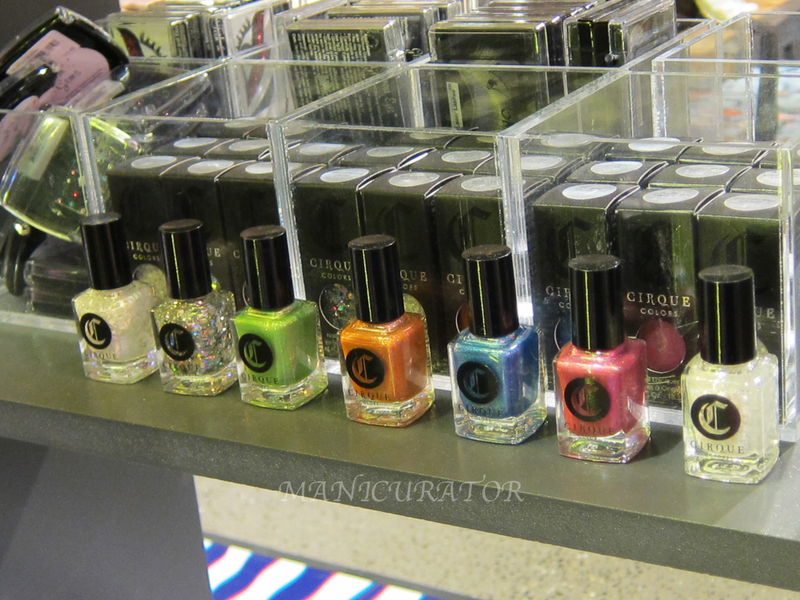 It's my pleasure to present to you Cirque Colors exclusive to Nordstrom collection. 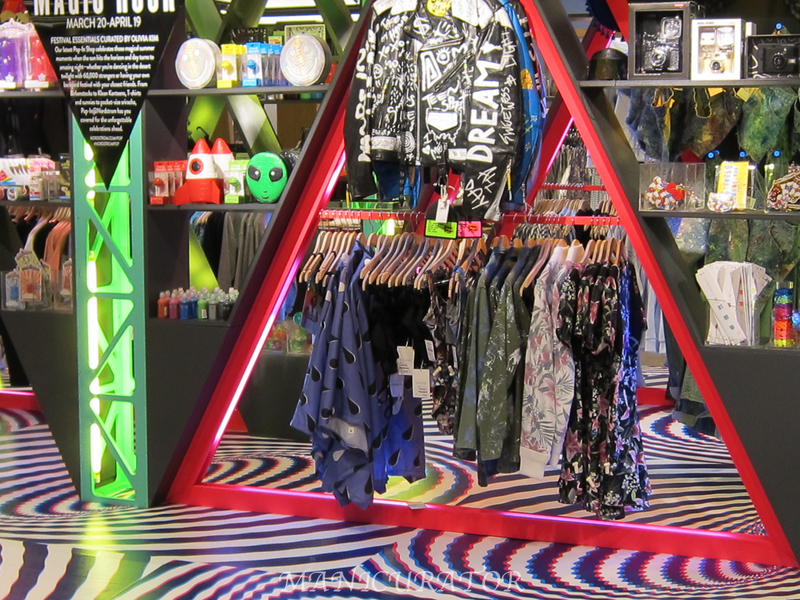 Created for their Pop-In shop series, this "Magic Hour" Pop-In is curated by Olivia Kim, director of creative projects and Opening Ceremony veteran. Introducing seven exclusive shades inspired by lights, music and the warmer months ahead. 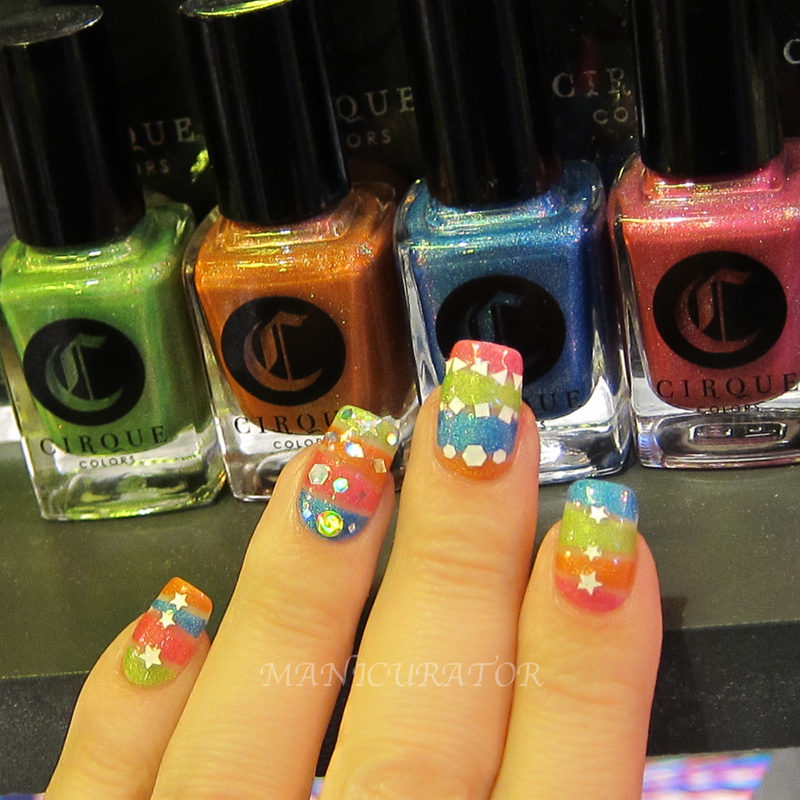 Go bold with one of our UV reactive holographics or embellish any nail look with one of our festival-inspired glitters. 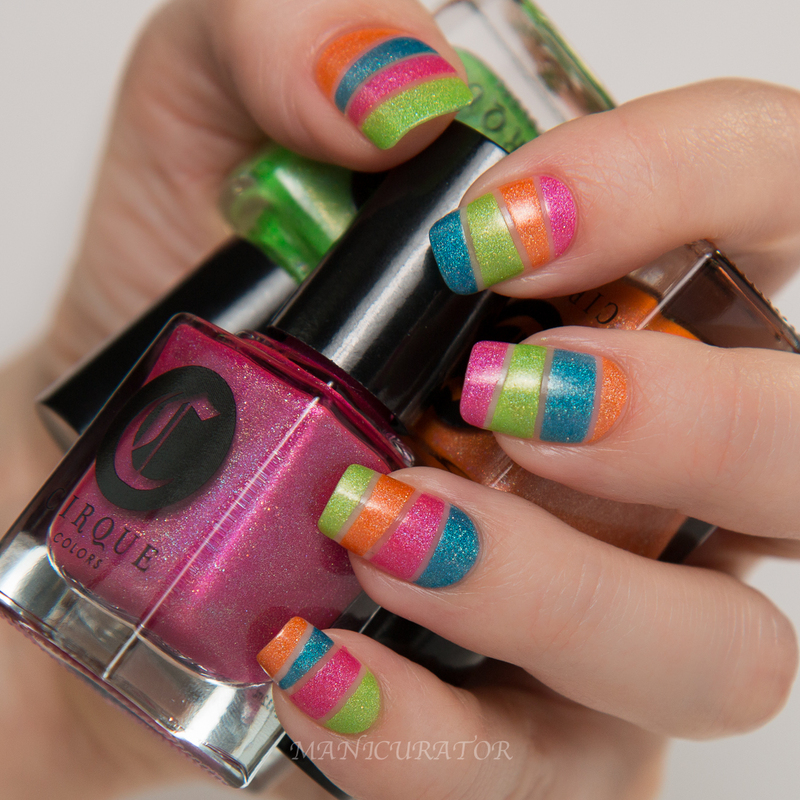 I wanted a simple but striking design that showed off all 4 of these gorgeous holos! Love how it turned out! Each one has excellent formula with opaque coverage in 1-2 coats. My lighting dulls the holo, but they are all fantastic and holo-y in sunlight! I decided to hand place the glitters from each of the three glitter toppers. 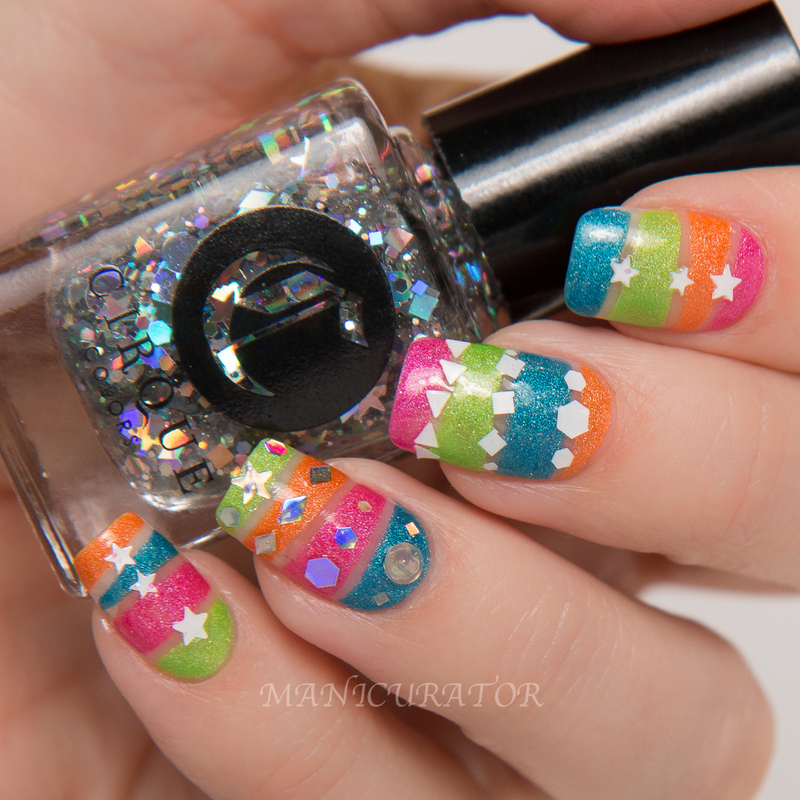 Index and Pinky have stars from Electric Sky, Middle nail has shapes from Phosphors. Ring finger has shapes from Discotheque. 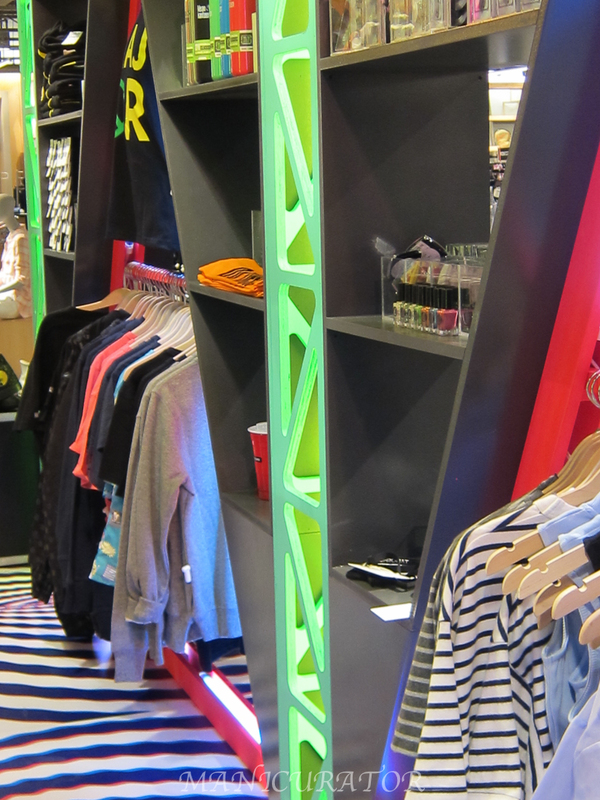 Yesterday I actually went to the downtown Seattle Nordstrom to check out the Pop-In Shop for myself! Fun right? Are you going to grab some of these? Obviously I decided to show these off with a nail art design. You can find excellent straight up swatches at The Polishaholic and Vampy Varnish. 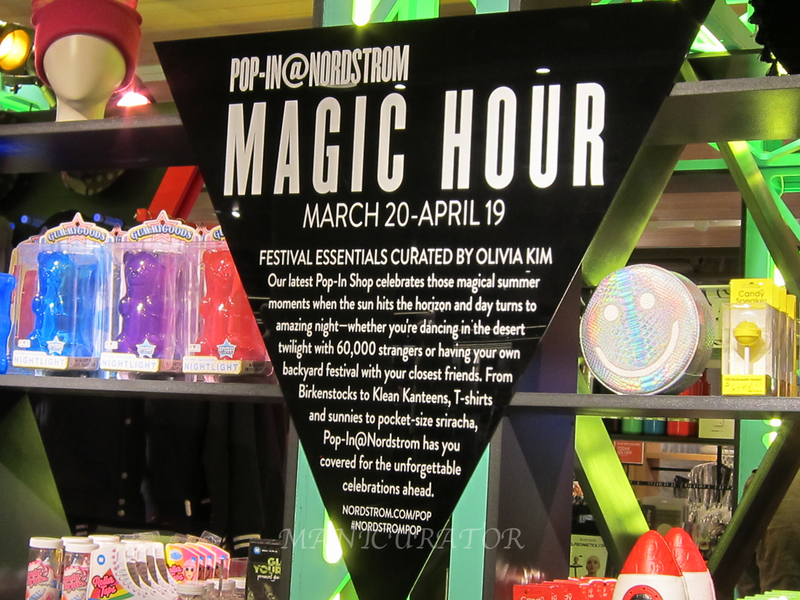 About Pop-In@Nordstrom Curated by Olivia Kim -- Nordstrom's wave-chasing, Prada-wearing, tattoo-collecting Director of Creative Projects -- Pop-In@Nordstrom is an ongoing series of themed pop-up shops showcasing independent designers online at Nordstrom.com and select retail locations. I love what you did with the glitters! So creative! So fun! Makes me happy just looking at it. 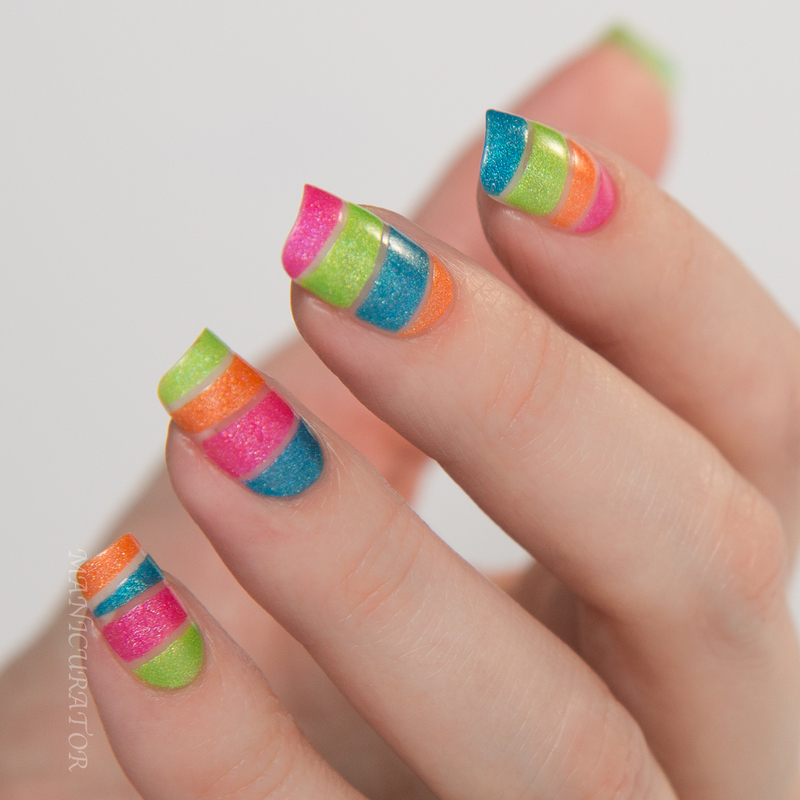 This is such a fun use of these polishes! Your final design is amazing! I love that there aren't any pastels in this set. Love your mani, especially with the glitter toppers placed. They're so beautiful! I love your mani, the colours pops out by contrast. So perfect! Great post and love your design!! Love that you took pictures of your manicure with the display too, hehe! 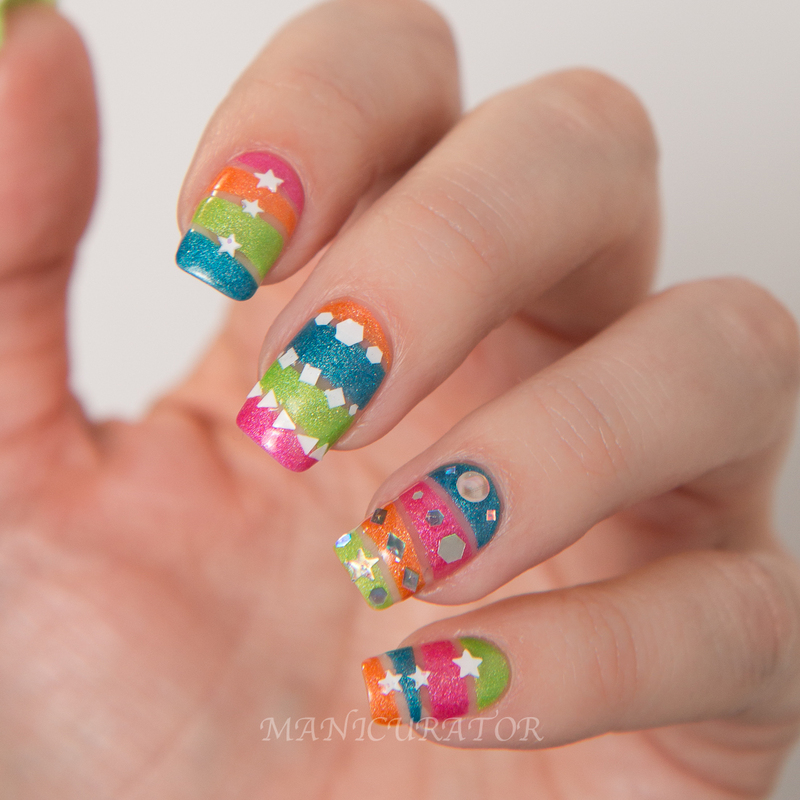 Very pretty nail art :) I love the pop of negative space! The nail art is so fresh and Springy! 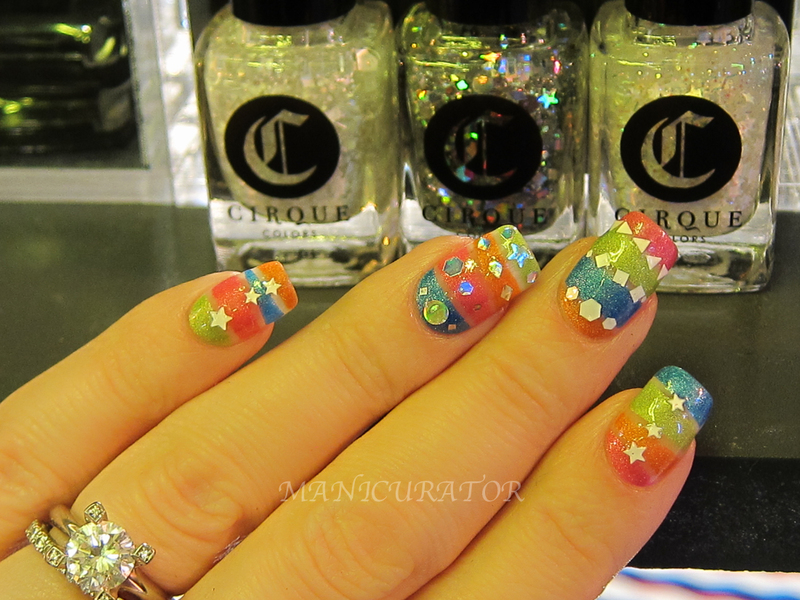 Discotheque is such a fun glitter, I love these diamond pieces in it. 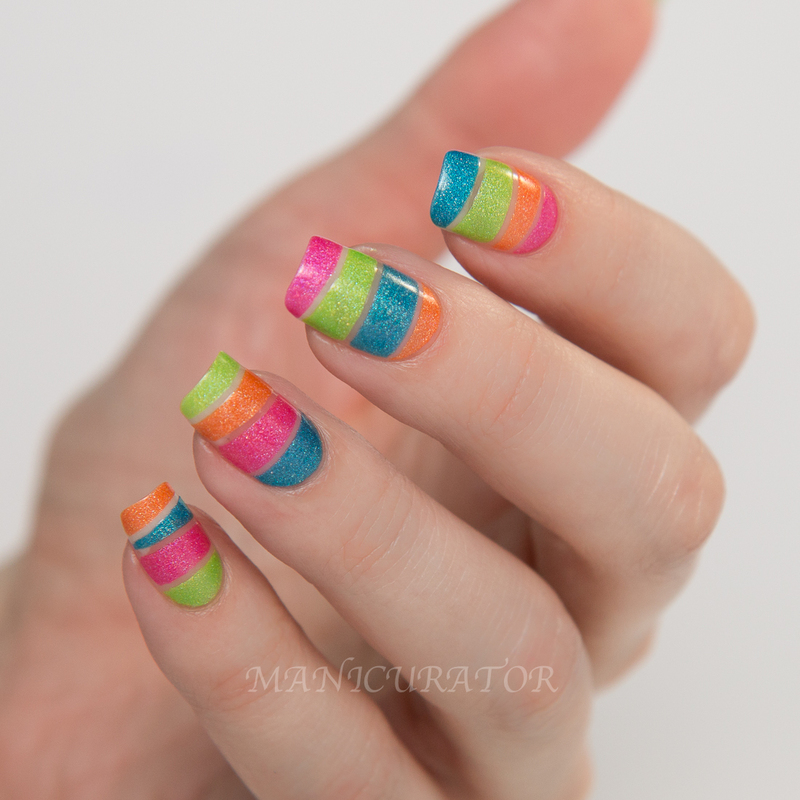 These are beautiful colours and that mani is PERFECT! Oh! 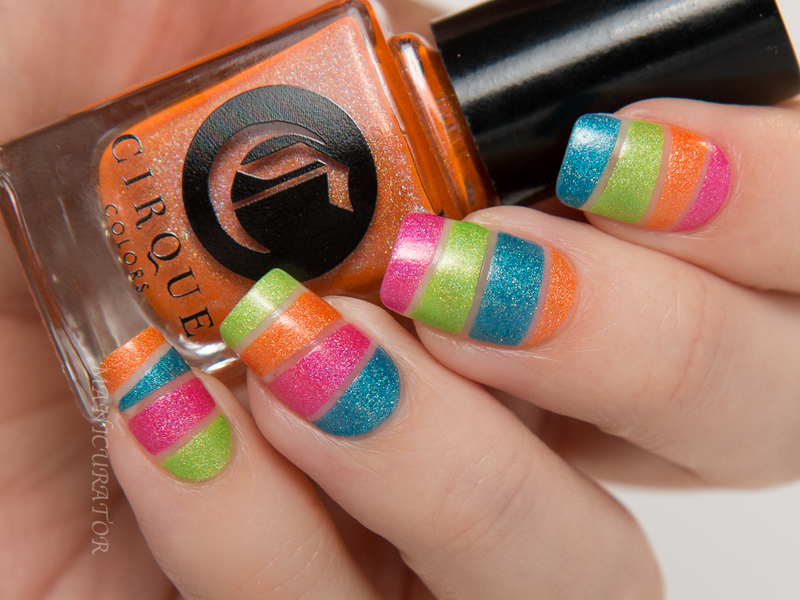 Cirque with the neons!! Love your blocking design it makes me want summer to come a little faster!! You come up with the coolest designs! !